1- Believe in Yourself and Believe in Almighty ALLAH. 2- Stay Cool & Calm. 4- Never Play with Your Expressions; Keep a gentle Smile on your Face. 6- Your Voice must be Strong, Clear and Audible. 7- Don't Shake hard very firmly/hardly; Be well mannered in Hand Shake. 8- Never Sit on the Chair until He/She tells you to Sit. 9- Don't Stare at the Roof and Walls. 10- Keep focus on the Interviewer. 11- Sit with your legs straight, Don't sit with cross legs. 12- Your back must be Straight, Be Alert. 13- Never sit in a Relaxed Manner. 14- Never sit with both hands holding each other. Keep them a part. 15- You will be asked to Introduce yourself, prepare your introduction well. ii) EDUCATIONAL INFO: Includes info about your degrees. Order mus be latest degree first then move to the next recent one like (Masters>>>Bachelors>>>F.Sc/FA>>>Matriculation). Include the year of completion, your institution name, obtained marks, total marks and Percentage/GPA/Grade etc. iii) WHAT ARE YOU DOING NOWADAYS? Includes information about ongoing Degree/Job (If Any) and the course which you have applied for. 17- Must answer in the same language in which the Question is asked. 18- If you are not sure about any answer, say "Sorry Sir! ", avoid wrong guessing. 19- Always give the close-most answer to every Mathematics related question. Never skip Mathematics Question. 20- Don't laugh if he/she tries to crack a joke. Just smile. 21- Personal questions may be asked, never get angry, keep your mind cool and answer with logic. 22- Don't play with your dress, tie or shirt. 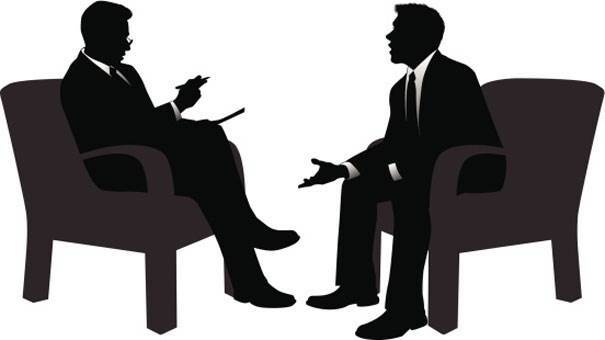 23- Look into the interviewer's eyes while answering to show your confidence. 24- Do not shake your head or move your hands while explaining. 25- Show Patriotism and determination in your answers. 26- If you don't know the answer, still take your time then say "Sorry Sir! ", Never say sorry instantly. 27- First thin, and then answer. Don't give answer instantly because that will be considered a guess. Take your time even if you know the answer.